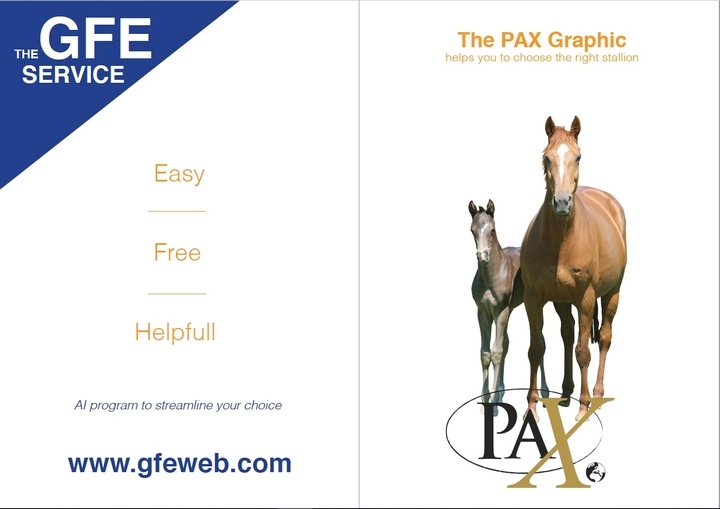 The GFE offers you the PAX Graphic, an easier version and more visual. We characterized our Sires according to 21 criteria: 11 morphological criteria, 3 of locomotion, 4 of jumping technique and 3 of behaviour. For each one of these criteria we defined an “Ideal desirable zone”. By superimposing the characteristics of your mare on those of our Sires, you will see whether, for the noted criteria, the crossing considered brings you closer or moves away you from the zones which we defined as desirable. It then returns to you to estimate the importance that you give them and to make your choice. Come to discover the Graphic PAX while clicking on the image below! We can also come to your farm and characterize your mares together with you, contact us for any question.